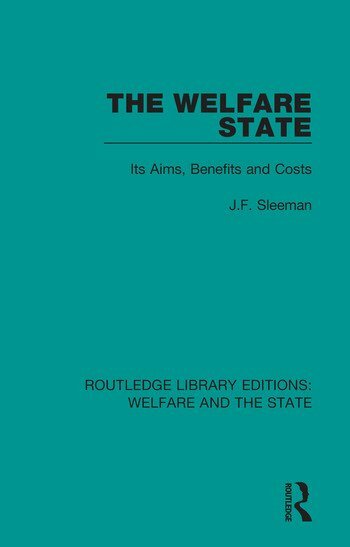 Originally published in 1973, The Welfare State traces the historical roots of the Welfare State and considers the problems to which it gives rise, especially in the allocation of resources. It focuses on the economic issue of meeting needs with scarce resources and compares the British experience with that of other countries. It sets out the pattern of the social services since Beveridge and summarises the criticisms levelled at them. It considers the economic issues involved and provides a straightforward presentation of the available policy choices, the discussion poses a direct comparison with other countries. The book offers an overall conspectus of current policy issues against the historical background from which they arise.